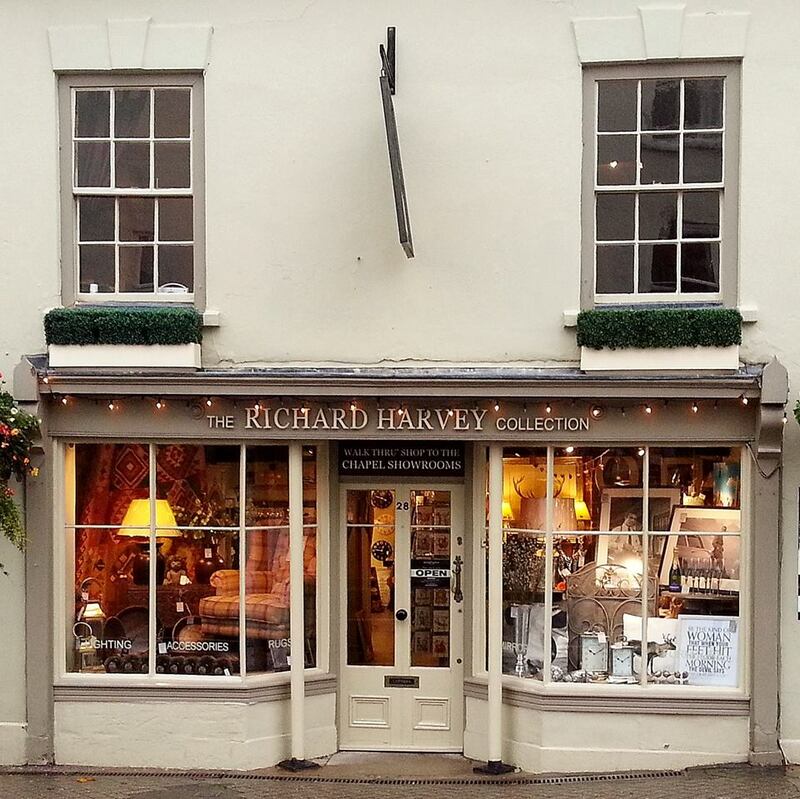 Set in magnificent showrooms, which extend into a former Baptist Chapel, The Richard Harvey Collection sits behind a small exterior frontage on the main through road in Shipston on Stour. We illustrate a fusion between traditional and contemporary design classics and show how the furniture and accessories can be combined together in a home setting. Our showrooms boast a beautiful range of Knole sofas and classic occasional chairs upholstered in sumptuous fabrics and leather. Our carefully selected collection of living and dining furniture includes tables, chairs, consoles and sideboards. We pride ourselves on offering the unique and the essential and hold a stock of designer led accessories ranging from beautiful mirrors and lamps to unusual wall art and gifts. We are also stockists of a range of sumptuous curtain and upholstery fabrics and we can offer a full curtain and re-upholstery service. Our accessory range is diverse, unique and ever changing, for this reason, we recommend that you visit our shop to view our wide selection, as we are not able to fully promote these lines on our website.